Smooth White™ Emperor® heads are warmer than Clear Emperor® with bigger mid range tones. 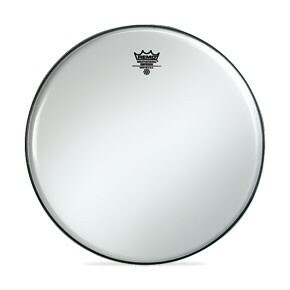 Smooth White™ Emperor®s are quickly becoming one of REMO®’s most popular WeatherKing® heads. They’re made with two free-floating plies of 7.5-mil Mylar® film, which gives consistent open warm tones which accounts for their popularity among many of today’s Studio and Rock drummers.